LONDON, England --- The Adventist Church has set a Guinness World Record for the Christian church with the most rules. The Guinness organization had spent years tallying the rule count for the faith. 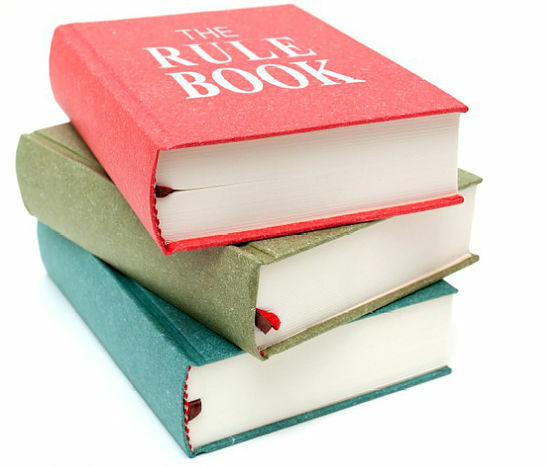 Officials finally came to the conclusion that Adventism had at least 2300 rules although each rule was representative of a far bigger subset of additional regulation. "Adventists have a truly dizzying array of rules on topics ranging from permissible dress to acceptable toppings on taco salads," said Guinness judge, Hecho Asombroso. "They even have a rule for what to call taco salads done Adventist-style: they insist on calling them haystacks." Asombroso said that part of the reason Adventism has so many rules is that members in different parts of the world have invented rules that are region-specific. "In some parts of the world you aren't allowed to have drums in church. In other pockets of Adventism you aren't allowed not to," said the confused Guinness official. "Don't even get me started on their maddening regional rules regarding female clergy." All these rues & regs are quite confusing especially if you have to memorize them to be an SDA employees. You have GC rules & policies. You have NAD rules & policies. You have the local Conference rules & policies and finally, the local church stuff. And don’t forget all the church schools, academies, colleges & university rules & regs! The Church manual! The Elders’ Digest! Whatsa true blue, red blooded SDA to do? It’s worse than the Sadducee & Pharisee rules of Bible times!! No rules & regs about eating Little Debbies! !